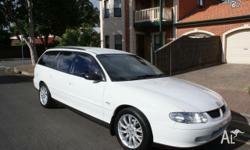 I am selling due to just receiving a company car. 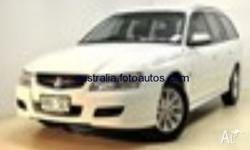 This Holden Commodore Acclaim Wagon has 4 airbags fitted for your protection. It been serviced on a consistent basis. 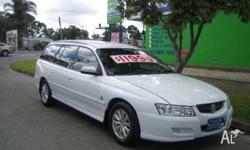 Big on space and comfort, the 2004 Holden Commodore is a great family car. It belongs to non-smoker. 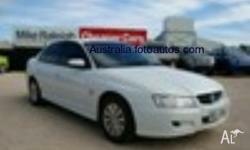 This car has power door mirrors, cruise control, driver & passenger airbags, ABS brakes and air conditioning. 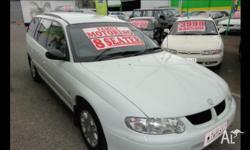 This 2004 Holden Commodore VZ Acclaim has electronic brake force distribution (EBD). This car has 5 seats, enough for the whole family. This car has remote central locking. This car has 2nd row split folding seats. 6 speakers. This car has speed dependant volume stereo, front & rear power windows, 5 x 3pt seatbelts and "15"" alloy wheels". This car has a 4 star ANCAP safety rating. A Bluetooth Hands Free kit is also installed through the vehicle audio system - no fines for answering your phone!!! 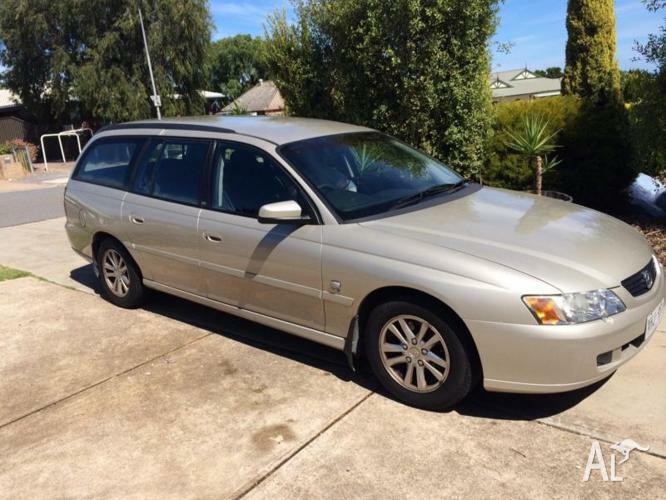 This Holden Commodore Acclaim Wagon is exceptional value at $4,500 excl government charges.